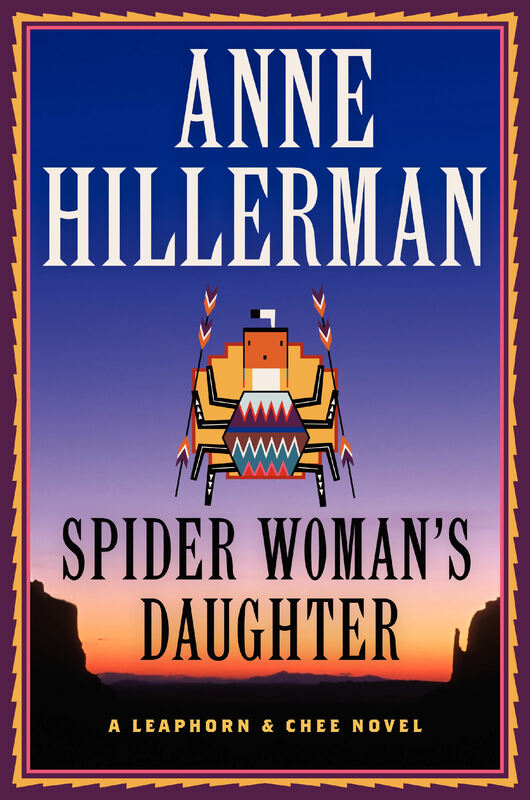 As the eldest of author Tony Hillerman’s six children, Anne Hillerman grew up in a household full of characters, adventures, and, most importantly, shared stories. Her mother, Marie, taught her to read at age 3 and Anne has been a reader ever since. She started writing in an imitation leather-bound journal to keep track of her adventures in first grade. Her most recent book, a novel, debuted at number 10 on the New York Times Best Seller list and has won other awards as well. This unique and amazing woman is an exceptional writer, leader and devoted member of her affiliate and NFPW. 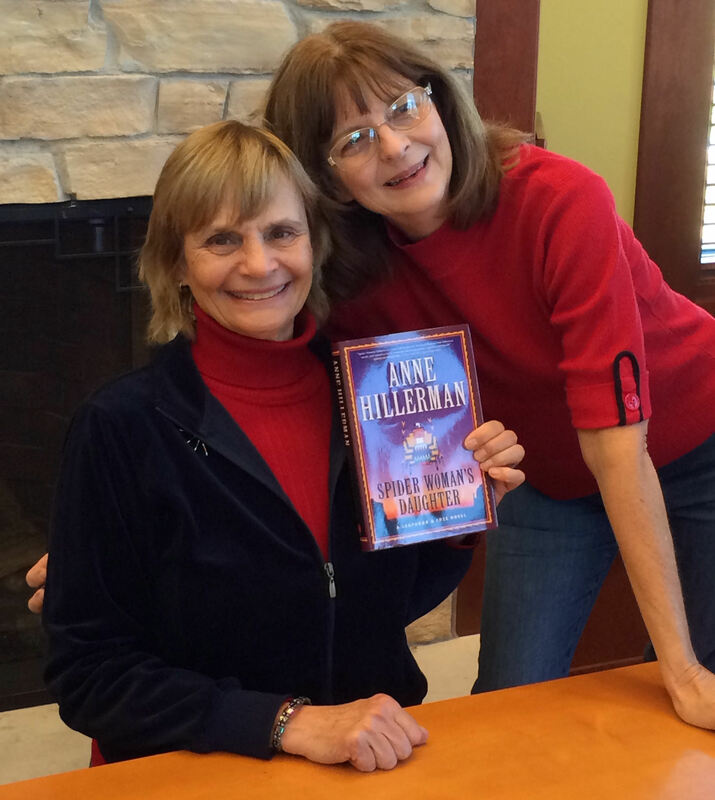 Anne Hillerman, sitting, with Cheryl Fallstead, right. New Mexico. Currently secretary of the state organization and on the leadership team of the Northern New Mexico chapter. State offices include past president, NM Communicator of Achievement, contest director and other positions. Years a member of NFPW: More than 20. I got my first real job as a journalist right after college, and have loved nearly every minute of my more than 20 years in the profession. I left my post as editorial page editor for the Albuquerque Journal’s northern edition to start my own business, Wordharvest Writer’s Workshops, but I still write restaurant reviews for them as a freelancer. (It is the world’s juiciest assignment!) Through Wordharvest, my business partner and I organize the annual Tony Hillerman Writers Conference each November in Santa Fe. The three day event features published authors who enjoy teaching and brings in attendees from throughout the US and Canada. In conjunction with St. Martin’s Press, we offer a $10,000 prize for the best first mystery novel set in the Southwest and announce the winner at the conference. My time in journalism and tips I learned at the conference continue to help with my own writing. After nine non-fiction books, I published my first novel with HarperCollins in October, 2013. To my surprise and delight, the mystery–which features a Navajo woman police officer as the crime solver– debuted at number 10 on the New York Times Best Seller list and won the Western Writers of America Spur award for best first novel. I never thought I would be a novelist! Or starting a new career at an age when some of my friends are thinking about retiring. Find what you love and give yourself over to it. The ability to create extra time with nothing to do but read! I love, love, love Santa Fe and our beautiful state of New Mexico. I love the speed of downhill skiing. Especially on a powder day with the sun shining! The organization helped me learn that I could be a leader and has provided a wonderful circle of friend and colleagues who inspire me. This entry was posted on April 30, 2014 at 7:08 PM and is filed under Uncategorized. You can subscribe via RSS 2.0 feed to this post's comments.